Is your child interested in learning letters? It’s always fun to start with the letters in their names. 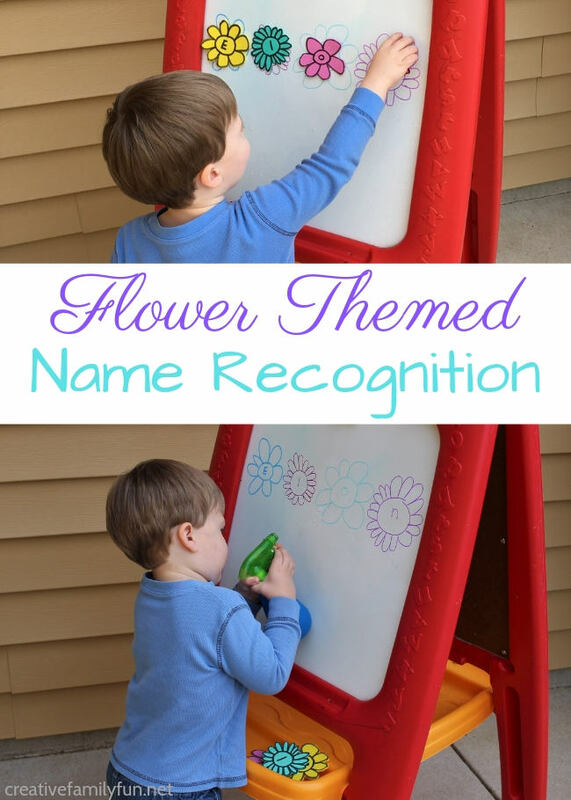 Our flower name recognition activity for toddlers is the perfect way to practice learning the letters in a name. 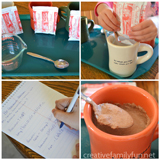 Use the idea to work on learning the alphabet or matching uppercase and lowercase letters, too. 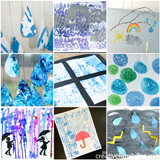 Since this activity involves spraying water, it’s a good idea to take it outside. Or at least have some towels handy and your floor protected. The spray bottle adds in some bonus hand strengthening. 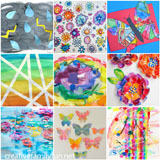 See my alternative materials for other options. 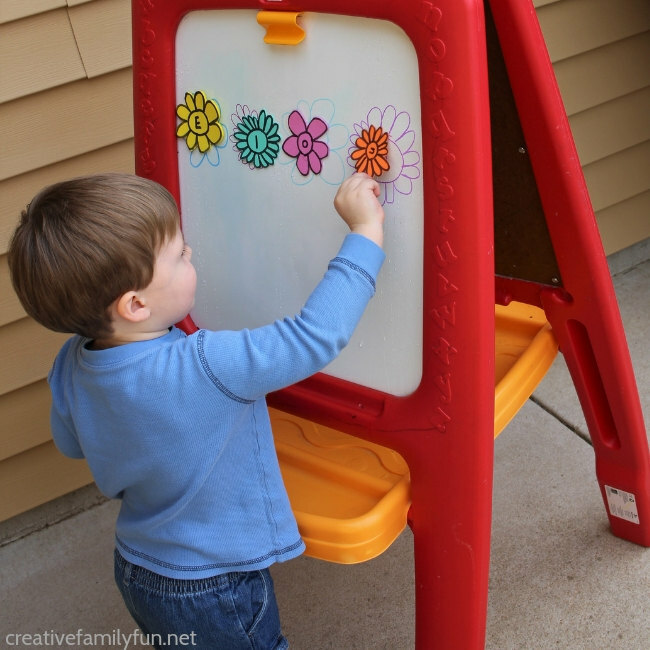 Use a permanent marker to write your child’s name on a large dry erase board. (Permanent markers will erase from a dry erase board with rubbing alcohol. Or scribble over the permanent marker with a dry erase marker and then wipe clean.) I used the dry erase board side of our easel. This makes for an easy set up. A piece of tile board from the hardware store is also a good option for a large, inexpensive dry erase board. 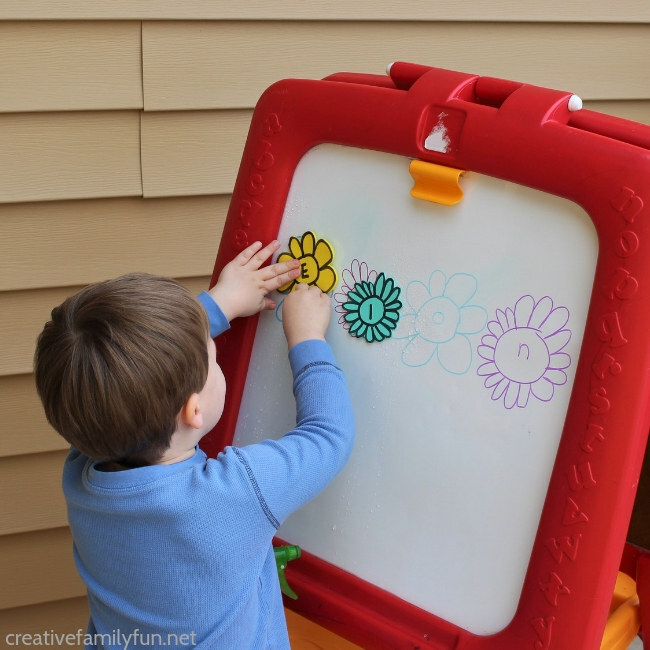 Cut out flowers from the craft foam that will cover the letters on your dry erase board. I drew the flowers on the board as well. Use a permanent marker to write the letters on the foam flowers. 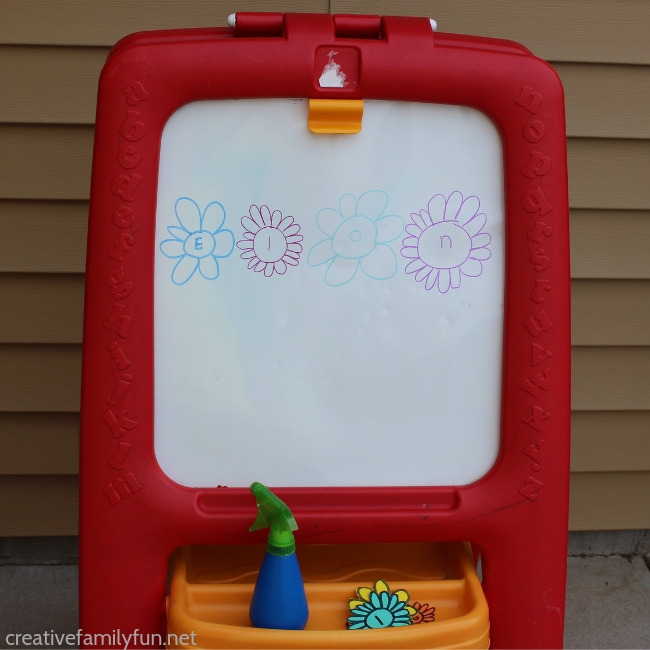 Place the foam flowers and the spray bottle next to the white board. Have your child spray each letter on the board with water. Talk about the letters. What do the letters spell? Next, encourage him to match the letters in his name. Find the foam flower that matches the letters on the board. The water will allow the foam to stick to the board. Talk about the letters as your child is matching them. Help her turn the flowers so that the letters are facing the correct way. You could try this same activity in the bath tub. The foam will stick to the walls when wet. Use bath crayons to write your child’s name. 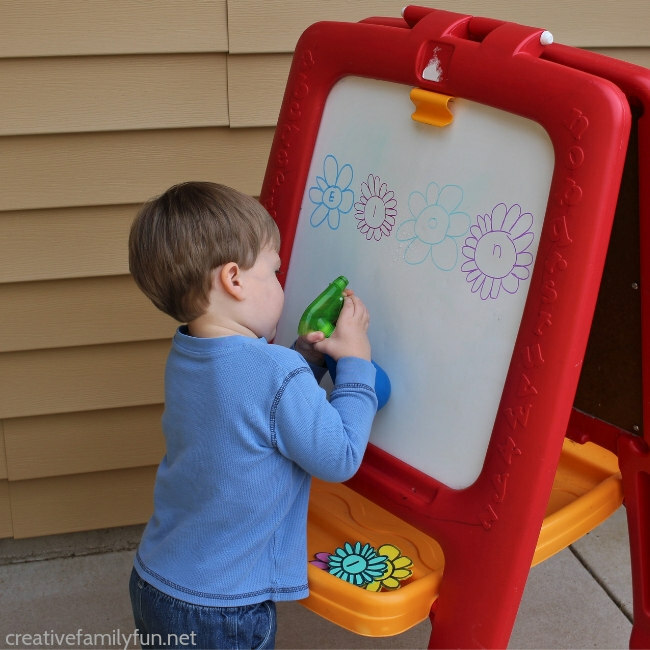 Instead of using a spray bottle, use a wet wash cloth to get the white board wet. Instead of using foam, use magnetic sheets to create your flowers. (Small magnets shouldn’t be used around toddlers and children who like to put things in their mouths.) 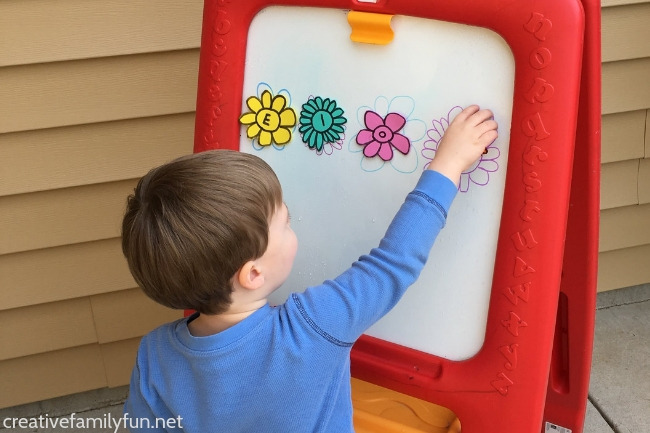 Build the flower name on a magnetic surface like a magnetic dry erase board, a metal drip pan, or a magnetic cookie sheet. Create a sticky wall using contact paper. Tape the contact paper sticky side out to the wall (or table). Use paper or foam flowers to build your names. Stir the Wonder used foam flowers and alphabet stickers to make spring flower names on the window. Get kids moving with these 2 spring themed name recognition games from Toddler Approved. Go on a flower name hunt and play a water the flowers game. Use the printable from Totschooling to make a name recognition flower garden. 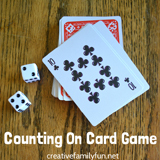 Do you want to do more fun activities with your kids?